Four persons were brutally beaten to death yesterday in Jamshedpur over rumours of being child kidnappers. Suspecting them to be child kidnappers, the villagers attacked them and also vandalised their car. Out of the four persons who were in the vehicle, three managed to escape, while the remaining one was caught by the villagers and lynched. However, the other three did not manage to make it too far, as the villagers caught up with them and they met the same fate as their companion. After receiving the information about the mob action, the police who reached the village were also attacked by the villagers and the vandalised the police car. "People were in suspicion that the people travelling in the car were the child thief. 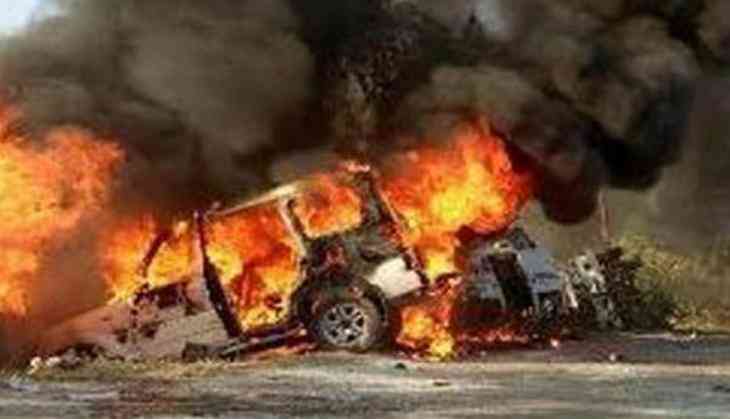 This is the reason they attacked the people and burnt the car," Police Station in-charge Mani Kant said.